June 2018 update: On June 11, 2018 we officially broke ground on the project! 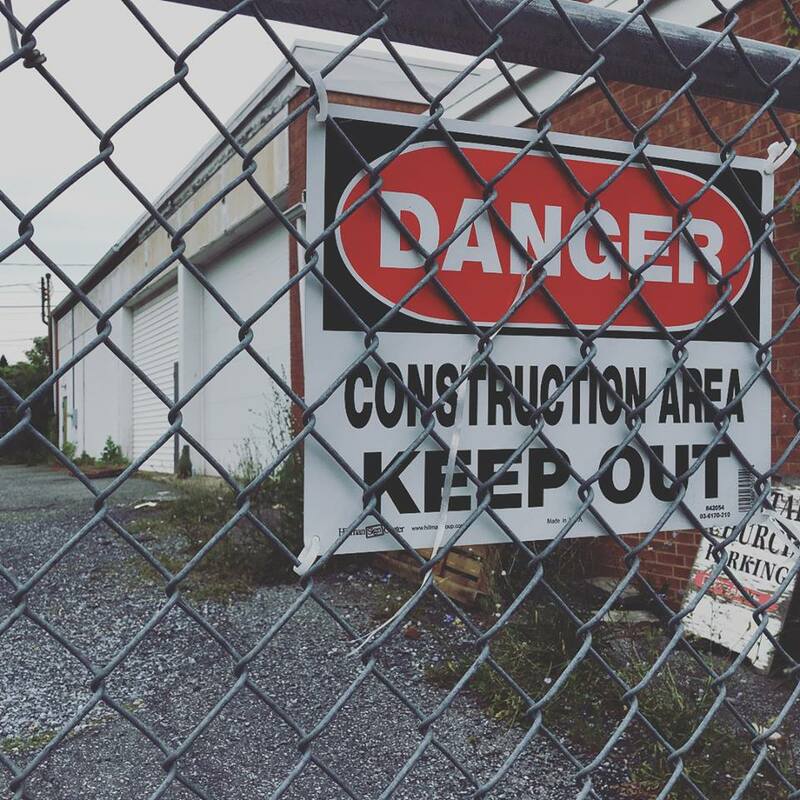 The former printing company building has been completely cleared out and asbestos removed. Next up, bring in the crane! March 2018 update: Expansion and renovation of our existing Youth Center and former printing company building will begin in the spring. We encountered a delay due to initial bids coming in too high, so the project is currently being re-bid with the goal of beginning construction in April. 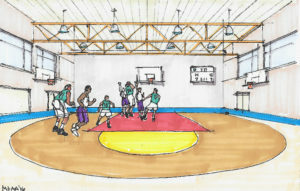 The first step of the project will be raising the roof at the printing company building, creating a full-sized gym! 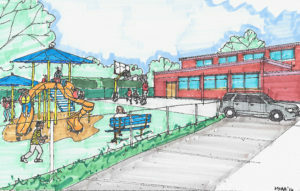 We will also add space for classrooms and a connector to join the two buildings together. We will then move on to the next phase, renovating our existing building. Up on the Hill, literally, at the top of Herr Street, headed east from Cameron Street, is a small center birthed inside an old closed-down fire station. The children and teens coming to our Youth Center, and their families, are being fireproofed to cope with and absorb challenges they face, to find hope and success, all from a foundation of experiencing the love of God expressed through the mentoring and nurturing of dedicated, gifted adults. The expanded land and renovated facilities will enable a much greater variety of indoor and outdoor activities and services for children, teens and adults. The newly acquired .55 acres/10,000 sf former printing building will offer a legitimate gym/activity center for athletics (raise the roof to 22’), creative arts, education and IT support systems, music studio, banquets/large events, outdoor play area, senior activities. Will be able to reach 150-200 kids and families.